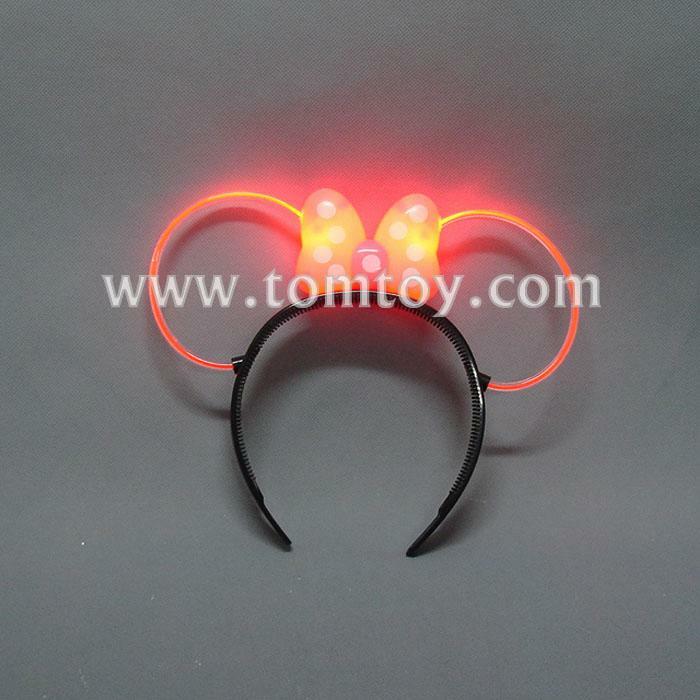 1.Our LED Flashing Mouse Ears Polka Dot Bow Headband is a great party or costume accessory! Lighten up your special Christmas night, Halloween costume and more with this angelic touch. 2.The Pink Polka Dot Bow headband features 2 Red LEDs and flash in 3 modes . And it comes to 2 colors for selection : Pink bow with white polka dot & Red bow with white polka dot . 3.Batteries included. Its everything you need when looking for Bow Headband.